Google Chrome is now my default browser for pretty much everything. The stable release has finally got to a point where it is stable enough for me to use all the time. I’ve even been using the beta/developer builds of Chrome on my laptop without any problems. 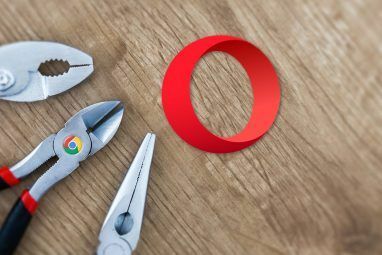 On July 22, Google, being all about speed, announced that they were going to shorten the release cycles of new, stable versions of Chrome from quarterly to 6 weeks. With this announcement came the Canary release channel. In this article, I am going to explain exactly what Google Chrome Canary is and why you should be excited about its release. I will explain the meaning of its name, as well as its overall purpose in the grand scheme of things. By calling the release Canary, Google is referring to the old technique of using canaries in coal mines. Back in the day, coal miners used to bring canaries down in the mines with them as a precaution. If there was any kind of deadly gas build-up, the canary would be the first to die. If the canary died, everyone knew it would be a good idea to leave the mine as soon as possible. Chrome Canary offers the same set of precautions. The Canary build is less stable, but it will be used to test even more cutting-edge features than the developer’s build, which already tests new features before they are pushed to the beta build. If a change “kills” Chrome Canary, Google will block it from the developer build. Chrome Canary is somewhat of a mix between the Chrome developer build and the Chromium snapshot builds. It can be run side-by-side with any other channel, which is a new feature. 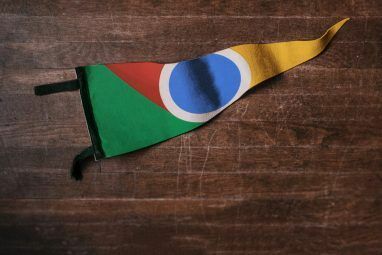 This means that it isn’t linked to your other Chrome installs and can therefore run different sync 3 Cool Tips To Get More Out of Your Bookmarks in Chrome 3 Cool Tips To Get More Out of Your Bookmarks in Chrome Read More profiles, themes, apps, and use different preferences. Unlike the other channels (beta and dev), Canary’s side-by-side feature allows builds to be installed without overwriting a regular Chrome build, which means that, technically, you can install both a Canary build and a regular build that could be on the stable, beta or dev channel. If you install Chrome Canary, you will notice that it has a different, all-yellow icon instead of the multi-colored Chrome icon or even the all-blue icon you might be accustomed to. Also, the skin of the browser is blue, helping you tell it apart from other versions of Chrome as well. [Note]: As Canary is a secondary installation of Chrome, you cannot set it as the default browser. Also, it is currently only available on Windows. Giving users the option to run a more advanced version of Chrome without having to fully commit to alpha testing it should help increase the number of people willing to use the browser. Canary will auto-update more frequently than any other versions available to developers. Google is working on making it update as often as they have successful nightly builds, according to their developer’s email list. When something doesn’t work on the Canary, you can just fall back on your beta version. Also, by speeding up the Chrome development cycle, it will begin testing new features with the public and collecting feedback more quickly. The data – especially crash statistics – that they get back from users will help them find (and fix) regressions in the software faster. 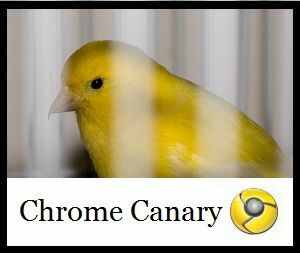 [Note]: Since the Canary version of Chrome will be very unstable, it should only be used by those who are willing to risk losing browsing data in the event of a program crash. Well there you have it. As I stated earlier, I use Google Chrome as my browser, so I am quite pleased with the news of a faster development cycle. Google seems to be very enthusiastic about getting their browser to the top and surpassing Mozilla once and for all. From a user’s standpoint, I think this is good news for all of us. 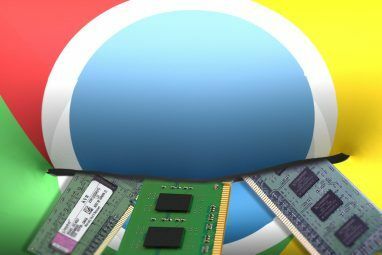 Quicker releases mean better features, and better features for Chrome should inspire some of these other companies to pick up the pace with their browsers as well. What do you think of this news? Will you be giving Canary a try? Leave your thoughts, ideas, and comments below, and please share this story with others if you found it useful. FYI it's also showing as available for download through the Google Play Store on Android, running CM13 MM on a Galaxy S4. I could not play my facebook games as it kept saying download adobe, I read in a forum to download Canary if having this issue, so I did. I can play the games now and hope everything else falls into place. Hope I can still have google plus, pinterest, ad block. This is cool, I can now test the dev version without sacrificing my stable version! I'll give it ago now. i tried it when it came out. my extensions did not work on it, so that's why i dont like it as much. Yeah, I was pretty intrigued by the name too. I'm hoping this helps make Chrome better like it's intended. You said the Canary browser is blue to tell it apart; not only is the vanilla Chrome blue, but also the Canary branch is silver/transparent. Thanks for introducing me to this, though! Nice catch, Viktor. I was restating something I had read while researching the article, which I guess wasn't entirely current/accurate. Regardless of color, it is a pretty cool addition to the development cycle! Like the option to run this in addition to stable public version. Gives everyone an opportunity to try it out without uninstalling anything. I know. When I read that it had that option I didn't even think twice about installing it. Not to mention is ridiculously fast! I don't think Canary is available for Mac or Linux just yet, but I could be wrong.